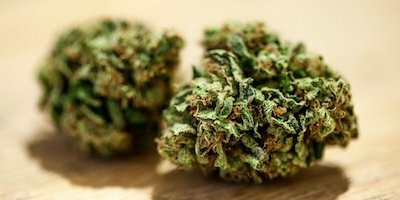 We are not asserting that the receipt shown at the top of the post is either correct or incorrect as we have not verified the calculations, and without knowing the Sales Tax rate in the dispensaries location we can’t complete the verification ourselves. 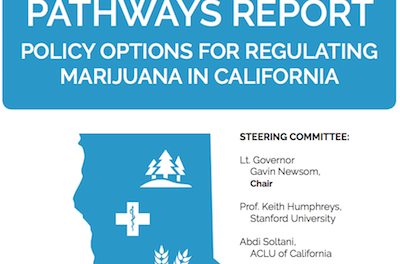 This the second of our 2019 gifts to California’s cannabis industry. 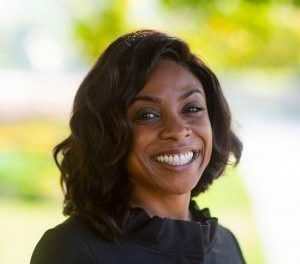 As we noted in an earlier Post, we have not yet seen a copy of a receipt issued by a California cannabis dispensary to a cannabis consumer in which it appeared to us that the dispensary “Got it Right” in connection with the collection of taxes. The failure of a dispensary to issue receipts to retail purchasers of cannabis that establish the dispensary properly collected and accounted for taxes will ultimately prove to be a fatal error for many, if not most, California dispensaries. Dispensaries are on the front-line with respect to the collection, reporting and remittance of taxes. Dispensaries collect all of the taxes that are imposed on the cannabis industry. The bulk of the taxes a cannabis dispensary collects from a consumer are the direct taxes on cannabis that are imposed at the time of the sale transaction. For a California dispensary, 20%-35% of the total amount a dispensary collects from a cannabis consumer will be direct taxes imposed at the time of the sale of the cannabis product – Sales Tax, Cannabis Excise Tax (“CET”), and local excise, nuisance and gross receipts taxes. Cannabis Cultivation Tax (“CCT”) and other taxes imposed on commercial cannabis are included in COGS and indirectly collected from the consumer. However, a dispensary is solely responsible for collecting, reporting, and remitting the taxes imposed at the time of the sale transaction. The percentage of total amount paid to a dispensary by a consumer for a cannabis product that consists of direct taxes imposed at the time of the sale transaction will depend on the transaction and the jurisdiction in which the sale occurs. 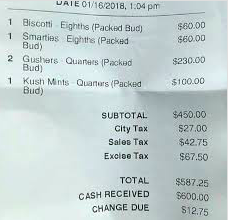 We have included at the end of this Post an example of the receipt we believe should be issued by a San Diego dispensary in connection with an adult-use sale in order to create the best possible record for the dispensary. A dispensary is a fiduciary to some degree with respect to 20%-35% of the total amount it collects from a cannabis consumer. The money a dispensary collects for taxes is not the dispensary’s money. This money belongs to the taxing agencies that imposed the taxes. In the instance of Sales Tax a responsible person may be held personally liable for a failure to collect and pay-over taxes [the CCT and CET statute does not have a comparable provision]. A dispensary that does not consider and treat tax money that the dispensary has collected as property that belongs to a governmental agency makes a grievous error. This is just one of many errors a dispensary can make in connection with its collection, reporting and remittance of taxes. The most common group of errors made by dispensaries flow from the inadequacies of the point of sale [“POS”] software dispensaries used in front end retail operations. A dispensary operator would do well to compare the tax rate and calculations in the POS software with the software it uses to maintain its back-end records and prepare and to file its quarterly Sales and Cannabis tax returns. If the POS system does not generating accurate tax calculation and generate proper receipts, difficulties are inevitable. A dispensary is responsible for properly computing and collecting the taxes imposed at the time of the sale of a cannabis product. A dispensary must not only prove it collected the correct amount of tax, a dispensary must also be able to establish it paid over the correct amount to, or for the benefit of, each the taxing agencies for which it has a tax collection obligation. Reliance on a POS system that improperly computes will not provide a dispensary with a defense. In fact, the information from the system will be used against the dispensary to prove the dispensary collected the wrong amount. Further, the utilization of a system that does not collect the proper amount of tax will work against the dispensary whether the dispensary collects too little or too much tax. If a dispensary collects more tax from a consumer than the dispensary was supposed to collect, the dispensary in most instances is required to pay over the excess amount it collected to the taxing agency. The most egregious error most California dispensaries make is unthinkingly complying with the California requirement that the receipt issued by a dispensary to a consumer include a statement that the CET is included in the purchase price of a cannabis product. If such a statement is included without more, the CET becomes part of the dispensary’s gross revenue. If taxes are included in a dispensary’s gross revenue, these taxes will be included in the dispensary’s gross income. If cannabis taxes that are collected and paid over are included in gross income, the dispensary will have to pay income tax on the amount of such taxes pursuant to IRC §280E. It is far better for a dispensary to separately itemize all of the taxes it collects from a consumer, and include a statement in the receipt that each of these taxes is being collected by the dispensary solely as the agent for the taxing agency that has imposed this tax. With such an itemization and such a statement, a dispensary will be able to exclude these funds from revenue. The dispensary will not be taxed on these funds; provided that the dispensary also has records that establish it paid over these funds to the proper taxing agency or other collector of these taxes. A dispensary, of course, is required by law to not only collect the proper amount of tax but also to be able to prove it paid over the amount it collected to the agency to which the tax is owed. This last point is likely to prove the biggest downfall in the future for dispensaries. Dispensaries are notoriously lax in record-keeping relating to their payments to suppliers. CET will invariably be the largest amount of a single tax a dispensary will collect from consumers. Dispensaries are required to pay-over these taxes to distributors. A dispensary will have to maintain the CET that it collects from consumers in a separate account from which all payments of CET are made in order to be completely confident it will be able to prove its CET payments to distributors. Such a dispensary will also have to secure and maintain invoice records of its payments to distributors that correspond to the disbursements from the CET account. Our prior post, CCT-CCT Responsible Persons contains an extended discussion and suggestions for a procedure that would facilitate a dispensary’s ability to prove the amounts of tax that was paid over to a specific distributor.